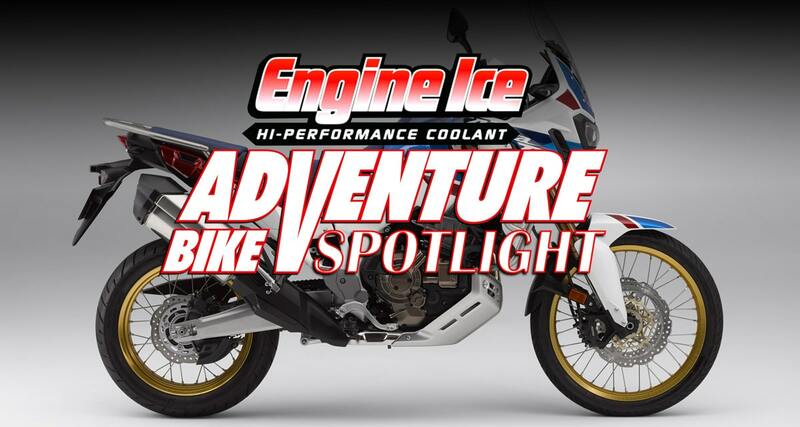 Honda’s new Adventure Sports edition of the Africa Twin is the focus of this week’s Adventure Bike Spotlight. 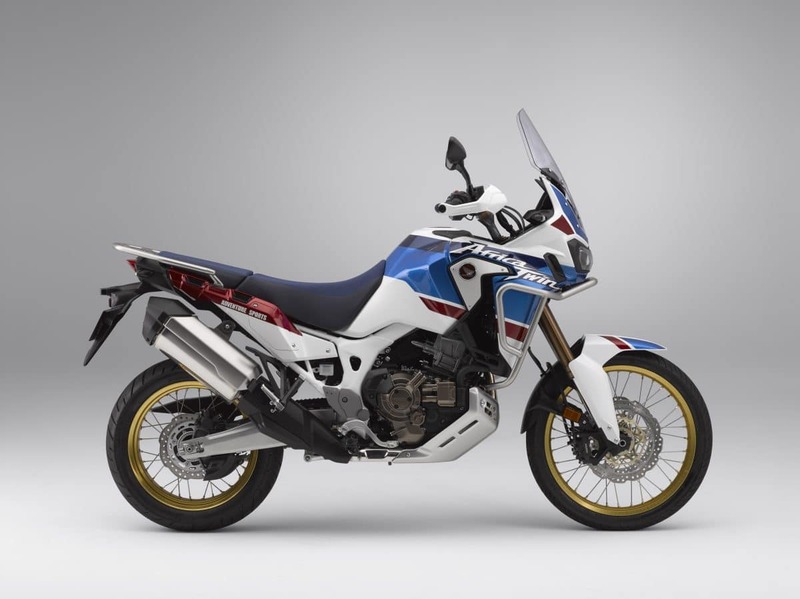 This is an upsized version of the standard Africa Twin, which also got some attention from Honda’s engineers. The Africa Twin was a Euro only models back in the old days. Since 2016, it’s been in America, and now it’s had its first upgrade. The standard model doesn’t really look different, but there’s a lot of new thinking on the electronic front. The throttle cable is gone, replaced by a wire coming out of the twist grip and eventually making its way to a servo at the throttle body. That allows the bike’s computer brain to have more control. The Honda Selectable Torque Control System (everyone else calls it traction control) is more sophisticated. It now has seven levels of assistance and affects both ignition advance and fuel delivery. Traction control is just one of several components that can be altered by the rider. You can also change the amount of engine braking and the power output. All three factors are adjusted simultaneously when you choose between the gravel, tour or urban riding modes. 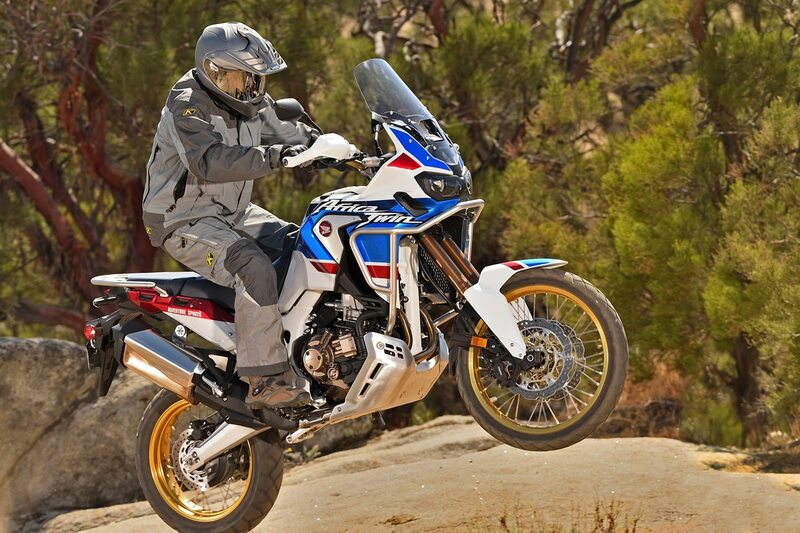 With the Adventure Sports model, Honda is vying for the “Best In Dirt” honors among adventure bikes. 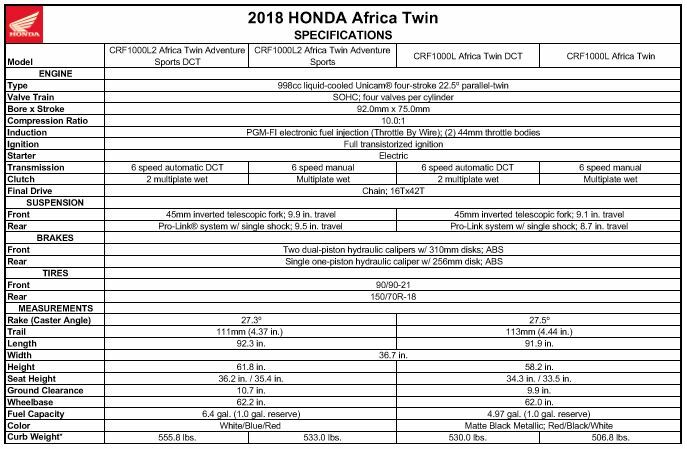 What makes a normal 2018 Africa Twin into an Adventure Sports model is a long list of updates–some of which are straight out of Honda’s accessory catalog and some of which are more extensive. The bolt-on stuff includes heated grips, a light bar, a larger skid plate, an adjustable seat, a rear rack and an accessory electrical socket. 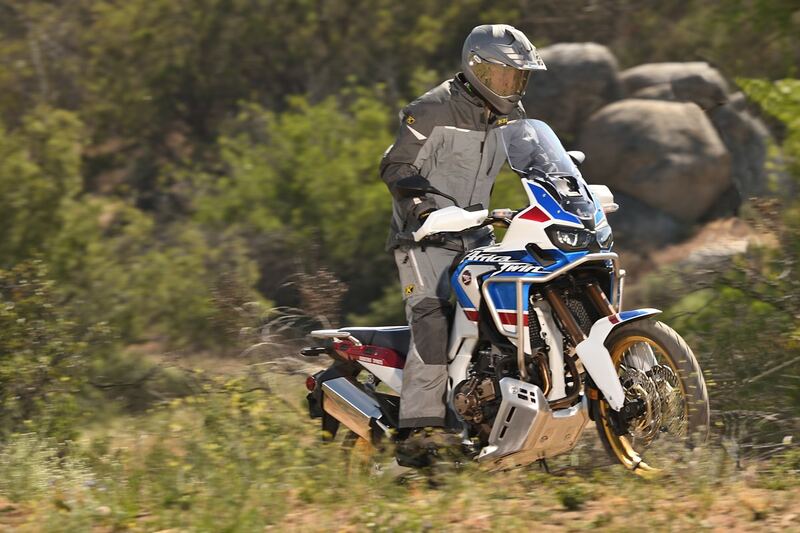 The stuff that would be more difficult to add to a standard Africa Twin includes the larger fuel tank (6.3 gallons versus 4.9), a larger fairing and windscreen and longer suspension travel. The Adventure Sports has 8.9 inches of travel in the fork (increased by 0.9 inches) and 9.4 in the rear (up 0.8). The MSRP of the Adventure Sports is only $1500 more; $14,999 versus $13,499. DCT adds another $700. Honda gives you full adjustability over taction control, engine braking, power and ABS. The options for the DCT transmission add another dimension. The full test will appear in the August, 2018 print issue of Dirt Bike, but we’re not giving away any secrets when we say it’s an incredible motorcycle. The longer suspension travel was the missing component to make the A-Twin truely a great off-road machine. We know, there are purest who roll their eyes at the connecting a 1000cc motorcycle with the words “off-road.” But those are the guys who haven’t ridden what. It’s no single track bike, but on relatively level two-trackers and dirt roads, the bike is incredible fun. The traction control is actually a great benefit in the dirt on levels one and two. 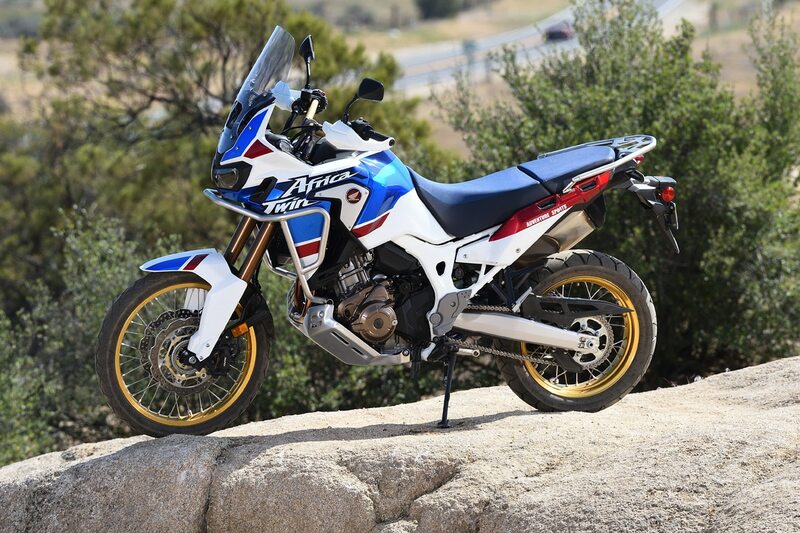 Come back to Adventure bike Spotlight weekly and we’ll have more on thee new Africa Twin, as well as other bike sin the dual-sport and adventure-bike worlds.